Dr. Michael Aziz, an attending physician at St.Vincent’s Hospital in New York, published his book "The Perfect 10 Diet" in 2010. Dr. Aziz says he started his diet plan after becoming exasperated with trying to treat overweight patients and failing and also becoming exasperated with his own weight and cholesterol blood pressure levels. The phrase "perfect 10" in the title of the book has a dual meaning -- it refers both to the perfect 10 figure the author promises can be attained on the diet plan and balancing the 10 perfect hormones that can help you to lose weight. The diet works on the idea that certain foods can negatively affect hormones, such as insulin, thyroid, estrogen and testosterone. Dr. Aziz posits that by eating foods that do not react negatively with these hormones, you can control your weight, gain energy, control your cholesterol and blood pressure and improve your overall health. The Perfect 10 diet plan works in three stages. In the initial stage, you may eat three meals with up to two snacks, but you have to avoid grains and alcohol. In the second stage, you eat the same but with the addition of one to three servings of whole-grains and minimal amounts of alcohol. In the final stage, you eat the same amount of food but you can add three or four servings of whole grains to your daily diet. The Perfect 10 diet avoids many of the pitfalls of many popular diets. The diet does not limit carbohydrates or ask you to reduce your fat intake to unhealthy levels or eat large portions of fatty or high-protein foods. The diet plan also does not advise the bizarre combinations or the single food limitations that the American Heart Association says to avoid. 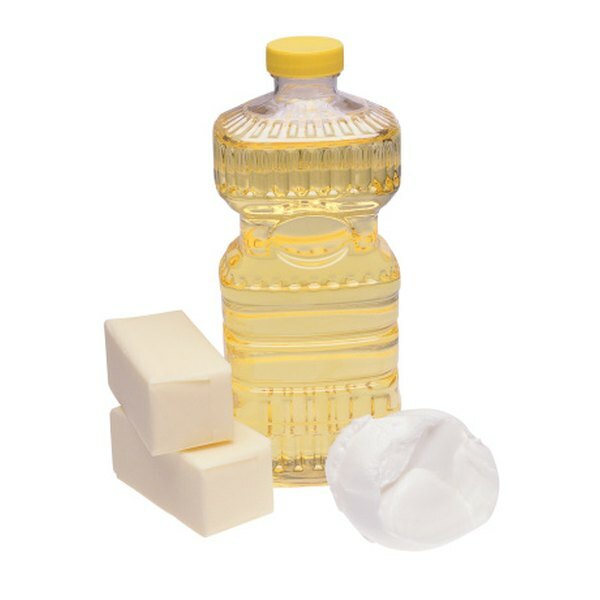 The Perfect 10 diet favors the consumption of butter and coconut oil over vegetable oils. This is contrary to the advice given by both the U.S. government's food pyramid and the University of Michigan's Healing Foods Pyramid. MyPyramid.gov advises swapping solid fats like butter for vegetable oil. The University of Michigan advises that coconut oil contains saturated fat. There may be some merit to Dr. Aziz's advocation of butter over vegetable oils. A study published in the "The Journal of Nutrition" in December 2002 found that the consumption of butter in a single meal triggered less fats and fatty protein than olive or sunflower oil in 10 men between the ages of 20 and 29. The Perfect 10 diet has not been around for the same length of time as other diet plans, such as the Atkins diet or the South Beach diet. Consequently, as of November 2010, there were no studies to confirm its efficacy. Speak to your doctor before commencing this or any other diet. MyPyramid.gov: Your Personal Path to Health -- Steps to a Healthier You!